The Koala is one of Australia's most popular animals, accounting for the exceptional success of the Australian Koala series that began in 2007. Each year features a new design, adding collectability to the .999 fine Silver content. 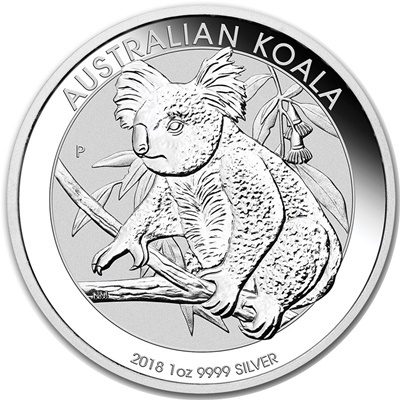 Reverse: Features a Koala sitting on a branch of a eucalyptus tree. The reverse design on each issue also includes The Perth Mint’s ‘P’ mintmark, year-date and fineness. 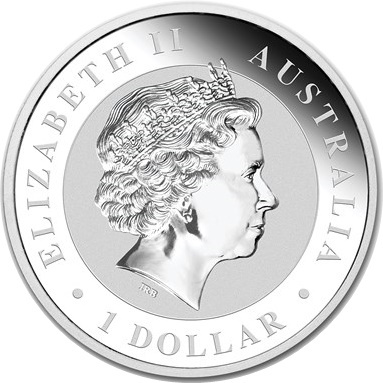 Obverse: Ian Rank-Broadley likeness of Her Majesty Queen Elizabeth II and the monetary denomination. Limited mintage of 300,000 coins for the third time ever.